Bakers, beware: General Mills has issued a recall on its five-pound bags of Gold Medal Unbleached Flour. If you buy Gold Medal flour, you're going to want to check your pantry for this one. 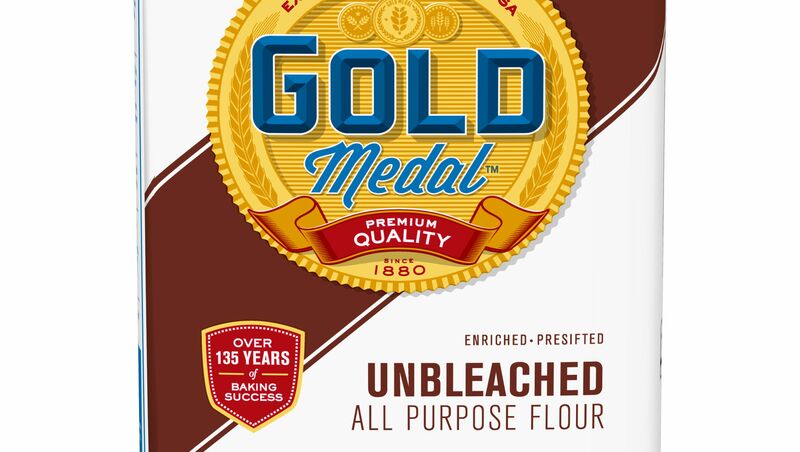 Due to potential traces of Salmonella, General Mills is recalling all five-pound bags of Gold Medal Unbleached Flour with an April 20, 2020 "better if used by" date. "The recall is being issued for the potential presence of Salmonella which was discovered during sampling of the five-pound bag product," General Mills' January 23 press release says. "This recall is being issued out of an abundance of care as General Mills has not received any direct consumer reports of confirmed illnesses related to this product." General Mills also issued a reminder that raw flour is not safe to consume: "Anything you make with flour must be cooked or baked before eating," the statement said. If you have any bags of this product (Package UPC000-16000-19610-0 and Use By date of 4-20-20), save proof of the UPC and date, then throw the product away. Contact General Mills' Consumer Relations team at 1-800-230-8103 or via this form to request a replacement coupon. Symptoms of Salmonella poisoning include nausea, vomiting, diarrhea, fever, headache, cramps, and loss of appetite. Again, there have been no reports of Salmonella due to the flour; the recall is a precautionary move. Do you buy Gold Medal flour? Do you have this product in your pantry? Tell us in the comments below!